SYLVIA CHAPPELL is a gifted communicator who left a very successful career as an advertising writer in 2013 to pursue her "soul's work" as an intuitive guide and healer. She began to develop her intuitive abilities in the early 90s through volunteer work for the A.R.E. of New York Edgar Cayce Center, which she was instrumental in founding in 1997 and expanding in 2004. She is a Life Member of the A.R.E. of New York, including 6 years service on its Board of Trustees. 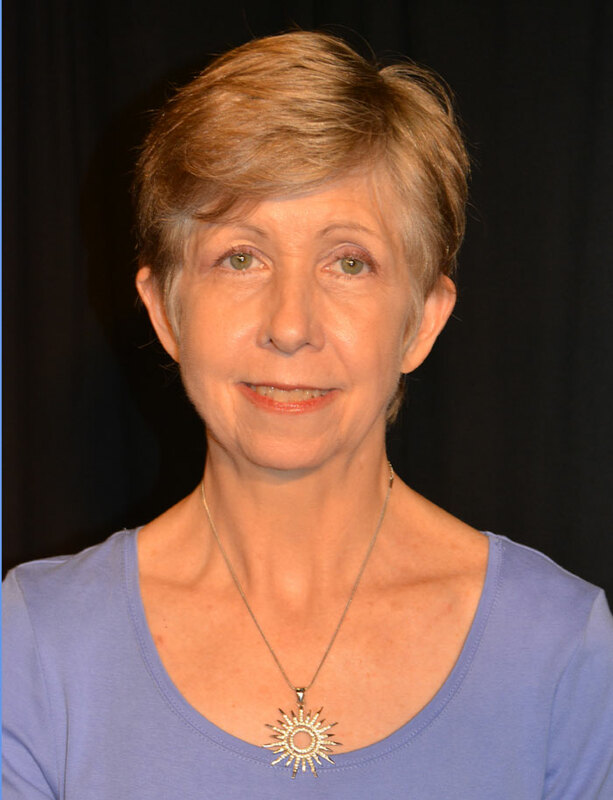 Through the Edgar Cayce Study Group work and with the support of gifted teachers at the Center, her intuitive gifts blossomed, first finding expression as a tarot reader, then as an intuitive healer and certified Reiki Master. Her creative explorations of her own past lives for insights to heal the present led her to become a certified Past-Life Regressionist and the catalyst for many remarkable healing transformations. Sylvia brings a wealth of intuitive talents, along with outstanding communications skills, to benefit her clients. The Akashic Records are a treasury of your personal experiences and knowledge of the past, present and future… the record of your soul’s every thought, word, action, desire and emotion. Sylvia's readings bring helpful insights and healing energies from the wise, loving Record Keepers about your soul’s purpose, relationships, career or health to guide you to enlightened choices. Sylvia was Certified as an Akashic Records Guide in 2013 by Maureen St. Germain, an international authority on accessing the Akashic Records for personal growth. She is also a certified Past-Life Regressionist and Reiki Master, wonderful adjuncts to her Akashic Records work in helping you to heal past issues that are impacting your present life. Akashic Records Readings can be done by phone, Skype, FaceTime (iPhone), etc., or in person at a convenient NYC location. 90-minute readings also available. Please ask for rates. All readings for returning pre-2018 clients remain at the previous rates of $150 (in-person) or $125 (distance), the same rates as NYC Edgar Cayce Center Members/Volunteers. New clients, please indicate if you want an in-person reading (NYC area) or a phone/Skype/etc. reading, your time zone (if outside US Eastern Time), and whether you're available on weekdays Eastern Time or need an after-work or weekend appointment. Thank you. UPDATE APRIL 19, 2019: I'm so grateful for the very positive response to my Akashic Records Readings and Workshops given in Santiago, Chile, at the beginning of April. Stay tuned for a return visit later this year! Intuitive Tarot Classes live in NYC... Readings anywhere! CLICK HERE TO WATCH A VIDEO OF MY TAROT READING FOR 2019 ON THE DIANA MONTFORD TV SHOW (FILMED 2/1/19). I think you'll be pleasantly surprised (I know I was)! UPDATE: My next Intuitive Tarot Course will be open to all levels—Beginners welcomed! Starting in Summer, 2019, dates and details TBD. Convenient midtown Manhattan location. For testimonials and introductory course description, click here. In-person sessions must be at least one hour, or two 30-minute readings (bring a friend!). Update: As of January, 2019, an additional $25 will be added to in-person readings to cover rental/travel costs. You can change your past lives! This is the profoundly healing, transformative approach to past-life regression that Sylvia practices. It goes far beyond conventional Past-Life regression therapy, making it possible to completely transform negative patterns of self-condemnation, self-judgement, guilt or blame through love, forgiveness and grace. By choosing to meet issues with love instead of fear, you change your past-life timeline. The healing effects ripple outward to this and all other lifetimes. She learned this revolutionary approach from Kev O'Kane, a highly trained and innovative hypnotist, regressionist and teacher who certified Sylvia as a Past-Life Regressionist in 2009. PLR sessions are available in person or via Skype; Initial Session $333 (approx. 3 hrs); subsequent sessions (approx. 2 hours), $222. Note: An Akashic Records reading is recommended before a PLR session, particularly if you are new to this process. It will help us determine if a regression would be beneficial to you. Frequently, through my Akashic Records readings, important past-life issues can be identified, understood, and in many cases, cleared. Having my Akashic records read by Sylvia was truly a transformative experience…. Sylvia’s connection to the divine source is evident in her channeling gifts.... She provided so many insightful explanations for questions I have regarding aspects of my family dynamics and things I have known all my life but did not know why or how. The reading unlocked the mysteries of my life’s puzzling questions. Since my reading with Sylvia, I can physically feel a frequency shift and blockages clearing from my heart and throat chakras, giving way to more love, forgiveness and clarity in communication with those family members I held as adversaries. I am able to become less judgmental and more understanding. —Linda L.
The session was progressively engaging and empowering. I experienced a personal shift, as the deeper aspects of my soul were explored. I came away with a greater clarity about my calling and purpose for this lifetime. I had a better understanding of the impact of past influences, and an awareness of who I was becoming spiritually. This was a pivotal step in my life’s journey that grounded me and taught me to let go of what no longer served me. —Joan A.
Sylvia Chappell cured my lifelong lower backache over the telephone during one Akashic Records reading. This Akashic Records reading is one of the best things I've ever done for myself because it gave me new insights into my life, into my relationships, into my backache! I cannot recommend her readings enough. It is gift of self-knowledge… an excellent investment to make. Your life with be changed for the better when you do it. What an enlightening experience with Sylvia and her reading of my Akashic records! So many things came to light and started making sense in the present. Experiences that repeated over and over for the past 40 years… and my recurrent dreams finally got to fit in the bigger picture of what I was doing in the past 200 years and its relationship with the gifts that I keep on awakening in this lifetime. The reading brought so much more clarity and motivation to continue pursuing my healing career. Thanks Sylvia, you are a truly gift for all of us. —Rossanna W.
Sylvia, the channeled Akashic reading you provided for me was amazing! I listened to the recording again and heard things I missed. It has provided so much insight and understanding in my life that I haven't experienced before in any other reading. You have such a gentle and loving spirit and I am so grateful for this experience with you. Thank you for the healing work you do! —Mary M.
Initially, before we began the session, I had a concern (small, but admittedly present) that I might feel 'silly' during the process, or that I might feel as if I was going to be self-inducing some kind of imaginative sojourn into a past lifetime. Instead, I found it very deep and meaningful on so many levels. Both [lifetimes] felt equally 'real' and I sensed I was being given a great gift by being able to access this information. I could probably write volumes about a subtle shift in consciousness, but the main changes I'm noticing are less of a tendency to go on 'automatic pilot' in the way I am perceiving, and reacting to, my daily reality. Also, I feel a bit more confident in my ability to create artistically - in a sense of 'giving up' perfectionist control and embracing more of a feeling as if I am a channel or conduit for creative energy. It's as if I'm 'getting out of my own way' more…. I realize I could not have accessed this kind of experience without your expert guidance–your sensitivity, skill and compassion during the session–and I am profoundly grateful to you. –David L.
Two weeks after my marvelous past life exploration and transformation I still feel the energetic changes through my entire being. I can't really explain it with words but I know that my subconscious was shifted in a way that has allowed me to be more open to do inner healing related to past trauma (this lifetime). I also felt an incredible feeling of peace after the session. —Fatima E.